Nobel Prize: Gifting Great People to city-states awards 90 influence, and when declaring friendship Sweden and their friend gain a 10% boost to Great People generation. Same combat strength and movement as the Lancer which it replaces. Like the Lancer, they can move after attacking, do not receive defensive terrain bonuses and suffer from a 33% combat penalty when fighting cities. The Hakkapeliitta also starts with Formation I (+25% combat strength vs mounted units). These units are, however, specialised for fighting alongside Great Generals. Hakkapeliittas gain an extra 15% combat boost from Great Generals, and if a Great General starts a turn on the same tile as one it receives the movement allowance of the Hakkapeliitta. Same combat strength and movement as the rifleman that it replaces. 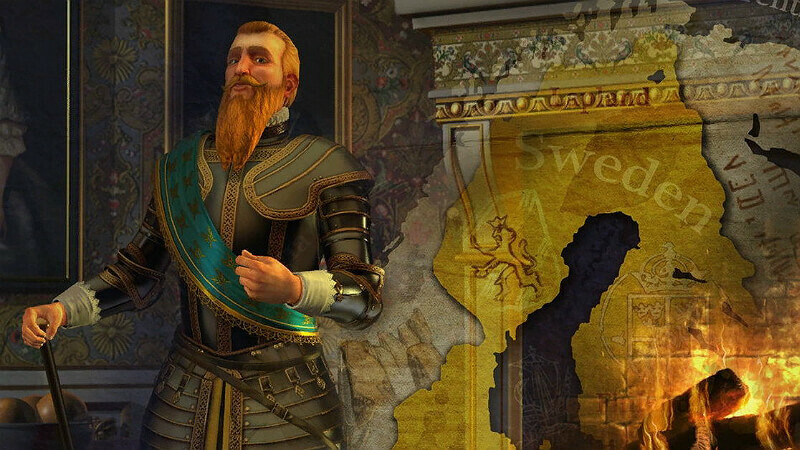 The only unique trait of the Carolean is that they begin with the March promotion, which allows them to heal every turn (even if they perform an action!). This may sound lacklustre, but this means that the promotion that would be used on March can be used on another promotion such as Blitz. This promotion is also kept when the units are upgraded to Great War Infantry. For this section, I’m going to refer you to the excellent Steam guide regarding Sweden by /u/Zigzagzigal – an excellent page detailing strategies, things to avoid, tips and even ways to counter Sweden! It’s a guide which I would highly recommend for anyone wanting to learn more about Sweden! Check out the relevant History Behind Civs article, featuring information on the leader, units and the unique ability!